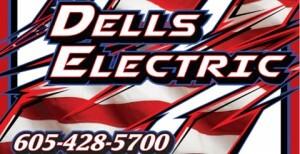 The Dell Rapids City Council will not need an election on Tuesday, April 9th. This announcement came during the council’s regular meeting held on Monday, March 4th. All four of the open seats will be filled by the incumbent council members. Each of the four wards had an open seat up for election, but the only petitions submitted to fill those seats were filed by the incumbent council members. Gary Haak in Ward 1, Mark Crisp in Ward 2, Mike Geraets in Ward 3, and James Borchert in Ward 4 will all serve another three-year term on the Dell Rapids City Council. The Dell Rapids School Board will still continue to have their election on April 9th as three petitions have been filed for two open spots. Matthew Weiland, Denise Cavigielli, and Lee Bollock will be up for election. Polls will be open from 7:00 a.m. to 7:00 p.m. on Tuesday, April 9, 2019. All precincts will vote at the Lutheran Church located at 701 North Orleans Avenue in Dell Rapids. The Dell Rapids City Council decided on the free rubble site days for the spring season during their regular meeting on Tuesday, February 19th. Weiland proposed to the council that the free rubble site days be May 4th, 9th, and 11th. The motion passed unanimously. The free rubble site days will be held on May 4th, 9th and 11th. The council did not make any plans for electronic recycling during any of those days. The electronic recycling is only done once a year in the fall. Water bills in Dell Rapids are headed for an increase starting with the June 1st bill. The Dell Rapids City Council approved the first reading of three new ordinances that will increase the water bills for all residents in Dell Rapids. The increases are being put in place to pay back loans for the Southeast Infrastructure project. The new rates and surcharges that are being implemented will go into effect for water used from April 20th to May 20th and will be first seen on the June 1st water bills. Ordinance 860 will implement a SE Project Drinking Water Rate Surcharge per customer. The cost of this surcharge will be $7.70. Ordinance 861 will actually reduce some of the water bill. The ordinance will change the base rate from $12.00 to $11.90, and the per 1,000 gallon rate will decrease from $4.64 to $3.92. With the implementation of these two ordinances, a customer that uses 5,000 gallons of water a month will have a total water bill increase of $4.00 from $38.20 to $42.20. Ordinance 862 is implementing a SE Project Clean Water Surcharge for $7.20 to the waste water portion of the bill. A customer that uses 5,000 gallons will have a waste water bill increase from $54.40 to $61.60. The ordinances will have to have a second reading approved before they will be adopted. The final 2018 sales tax revenue report was shared at the latest Dell Rapids City Council regular meeting held Tuesday, January 22nd. The numbers showed a drop of 3.45% from the 2017 numbers. The city of Dell Rapids had $1,227,419.65 of sales tax revenue in 2017. By contrast, the city had $1,185,064.63 of sales tax revenue in 2018. A drop of just over $42,000. “It looks better than it did in July and August. $42,000 less, if you look at July and August, that’s about $40,000. That’s at the height of the construction. That’s the way I interpret those numbers,” said City Administrator Justin Weiland. July 2018 was an 11.68% decrease from the numbers in July 2017. August 2018 had a bigger drop from 2017 at 23.24% decrease. The numbers rebounded in October, November, and December with each of those three months having positive gains in 2018 over 2017 numbers. Four seats on the Dell Rapids City Council will be up for election in 2019. There will be open seat in each of the four wards this year…the term for Gary Haak in Ward 1, the term for Mark Crisp in Ward 2, the term for Mike Geraets in Ward 3, and the term for James Borchert in Ward 4. The term for each of those wards up for election will be three years. Petitions for the open seats can begin circulation on January 25th. All the petitions are due back to City Hall by February 22nd at 5:00 p.m. The election has been set for Tuesday, April 9th if necessary. Is a New Four-Way Stop Needed in Dell Rapids? Is a new four-way stop needed in Dell Rapids? That question was raised at the last regular Dell Rapids City Council meeting of 2018. Jody Brust, owner of Jody’s Collision & Auto in Dell Rapids, raised a concern to the council about the intersection of Garfield Avenue and Centennial Place. After Brust brought his concern to the council, Dell Rapids Mayor Tom Earley and City Administrator Justin Weiland responded to his concerns. “One thing that we could do is more prominent display of the posting of the mileage on that street. In the past we have had conversations, particularly with the people at L.G. Everist, about informing the people that truck their commodity about traffic issues, speed limit issues, etc. That’s something else we could do,” said Mayor Earley. Weiland mentioned that the city worked with L.G. Everist when making the change in the truck route to get their input and get their support. It was mentioned in those conversations that removing the stop sign at that intersection would be helpful to the truckers. However, Weiland also mentioned that after concerns about the traffic at that intersection have been brought to the city’s attention, the quarry would support whatever the council wanted to do with the intersection. “We’re going to enforce the speed limit. The speed limit is 25 mph. It’s not 45, it’s not 35, it’s 25. That’s the speed limit, and every one should be driving that route at 25 mph, or they should get a ticket,” said Councilman Mike Geraets. The council did not take any action on the question about making the intersection a four-way stop. Mayor Earley mentioned that the city would work to improve signage to better display the speed limit and ask the Minnehaha County Sheriff’s Department to monitor the area more closely. After a couple of months of monitoring the situation, he said that the council will revisit the request and make a formal decision at that time. Gregg Olson, Director of Member Services, Communications, and Governmental Affairs with Golden West, attended the Dell Rapids City Council regular meeting on Monday, November 19th to tell the council about how Golden West won the award. Olson mentioned that about two years ago, Golden West finished their “Fiber to the Home” project in Dell Rapids that took about two years to finish. Dell Rapids was one of the first communities for Golden West to have the project complete. Olson also said that about six months ago, Golden West submitted an application for the award based on the great things they were hearing about Dell Rapids after the fiber project was complete. “It takes a community with leadership you have in this community to take that technology and do something with it. I think Dell Rapids is just a wonderful example of how that’s working where technology is truly meeting community leadership and innovation,” said Olson. Kari Karst of BXCC, Dan Ahlers of the Dell Rapids Chamber of Commerce, and Justin Weiland with the city were mentioned by Olson as being key members of the community that really helped Golden West tell the story of Dell Rapids in the award application. One of the perks of the award is that Golden West gave three signs mentioning the award to the city that can be placed in Dell Rapids. “Thank you for the work you guys do in the city. When we talk about Dell Rapids, Golden West is one of our partners in the community. 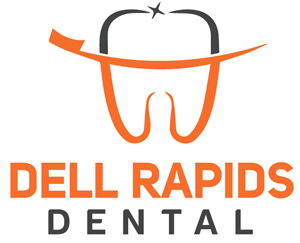 Obviously it’s another opportunity for the Dell Rapids community to demonstrate to other people what we do have here and what we can do, and that we can technically support potential businesses,” said Dell Rapids Mayor Tom Earley. The construction on the Highway 115 Project has continued slowly throughout the months of 2018, but Dell Rapids City Administration still believes that the majority of the concrete work will be completed before the end of the year. City Administrator Justin Weiland gave a report to the Dell Rapids City Council during their regular meeting on Monday, November 5th. Weiland mentioned that he thinks T&R Contracting will get the main paving done yet this year, and that is what the contract states. The contract does also roll into June of 2019 for finish work. Weiland mentioned that the city probably won’t see the trails poured or the seeding done this year. “They’re going to have to come in and play cleanup in the spring,” Weiland said. Weiland also mentioned an issue was recently discovered with the project. The bridge elevation just west of the four-way stop was designed at a lower elevation than the design for the road elevation. The issue was not caught before construction, but plans are for that issue to be fixed. Weiland mentioned that the road diversion has not been removed yet, and he thinks once the rest of the concrete is complete west of the bridge, traffic will be routed back to the diversion to fix the elevation issue. Weiland also said that he wasn’t sure exactly how T&R Contracting plans to fix the issue, but it will be fixed. A temporary blacktop patch has been put in place to allow traffic through while concrete work continues. Not only has the project been delayed, and now has an issue with the bridge elevation, the city of Dell Rapids has also seen a decline in sales tax revenues. The council was presented with numbers for September, and once again the sales tax revenues were down compared to 2017. July was down 11.68%, August was down 23.24%, and September was down 6.7%. “This highway project, in my opinion, has affected sales tax within the community. The biggest thing that we want to make sure is that people’s trends haven’t changed, or they haven’t altered their habits,” Weiland said. He also mentioned that once the majority of the project has been completed, they city plans to work with the Dell Rapids Chamber of Commerce and media outlets to get the word out to people that the city is “back open for business”. A few of the projects that have been happening in Dell Rapids this summer and fall are nearing completion. The Garfield Avenue Improvement project had its final pay request during the Dell Rapids City Council’s regular meeting on Monday, October 15th. The contractor has just recently finished some grading and reseeding work, and the punch list items being completed. The council approved the final pay request on this project. The water tower repainting project is also nearing completion. The painting of the tower has been completed inside and outside. 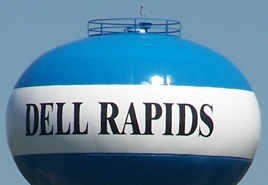 The “Dell Rapids” lettering has also been completed on the tower. Testing on the paint, cleaning up the site, and then getting the tower refilled are the final steps to close out this project. Another project that is also about complete is the Sioux River Red Rock Trail Scenic Overlook Extension project. All of the concrete has been installed, and the back-filling and grading has been completed. The seeding has not been completed at this time. The plan is to dormant seed the areas in early November. Some punch list items are also needing to be completed before the project is completely done. The Rickeman Comfort Station project is also continuing to move forward. The excavation and concrete work has been completed. It was reported during the council meeting that the roofing materials are ready to be installed. After the roof is done, the plumbing, HVAC, and electrical to be done on the building. The expectation by the contractor is that the building will be finished by the end of November. 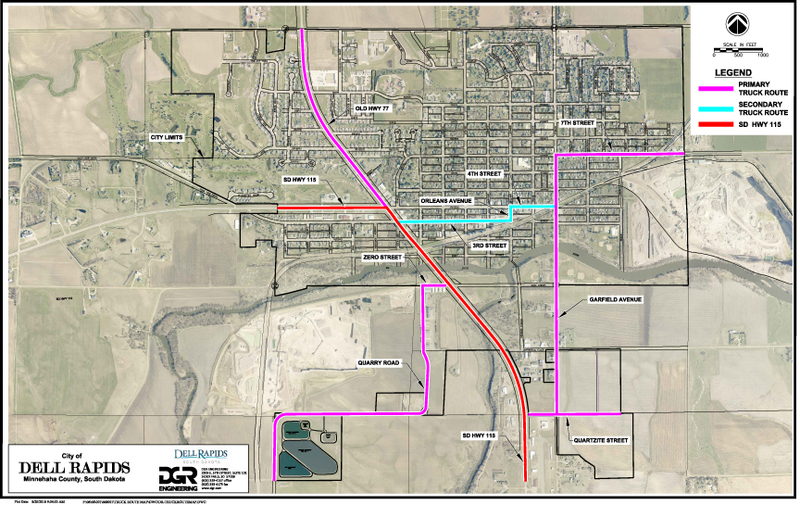 Dell Rapids has an updated truck route ordinance which includes a secondary truck route. Dell Rapids City Ordinance 856 had a second reading and adoption passed during the regular council meeting on Tuesday, September 4th, but the ordinance did not go into effect until October 1st. State Highway 115 from the west boundary of the city turning southeast to the south boundary of the city. Quartzite Street from State Highway 115 on the west to Garfield Avenue on the east. Garfield Avenue between Quartzite Street and Seventh Street. Seventh Street from Garfield Avenue on the west to the east boundary of the city. County Highway 129 from the north boundary of the city angling southeast to where the highway intersects State Highway 115 (Fourth Street) and continuing south on State Highway 115 to the south boundary of the city. Zero Street from State Highway 115 on the east to Quarry Road on the west. The entire portions of Quarry Road and Quartzite Street. Third Street from State Highway 115 on the west to Orleans Avenue on the east. Orleans Avenue between Third Street and Fourth Street. Fourth Street between Orleans Avenue and Garfield Avenue. Signs for the new truck routes that will be placed by the city and the South Dakota Department of Transportation should be completely installed within the next couple of weeks according to comments made by City Administrator Justin Weiland during the last city council meeting. A question was also raised as to when the new railroad gates would be installed on South Dakota Highway 115 on the south end of town. It was reported that those gates would be installed after the sidewalks were completely finished to avoid potentially having to come back and move them during sidewalk placements.